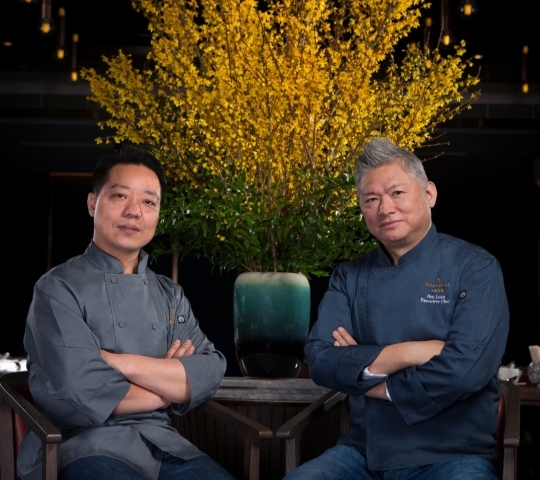 Being enthusiastic about cooking, Executive Chef Xiaohe Chen has been devoted himself into cooking for more than 20 years and developed an expertise in Chinese cuisine. Chef Chen worked in various renowned restaurants and government organizations, including Fairmont Peace Hotel, Oriental City Hotel (東方城賓館), Empire City Huaiyang etc. He was the Director of Shanghai & Huaiyang Cuisine of Super Star Group in Shanghai. Born in Yangzhou, Chef Ben Luen started his culinary journey in his early 20s. Specializing in Shanghai and Huaiyang cuisine, he spent over 30 years in some of the most prominent restaurants within the profession and has been the Executive Chef of 1957 & Co.’s highly-popular restaurant Modern Shanghai since its inception.